7. Narrow fuselage design and the container transportation can be realized. XZ450 HDD Drill Rig is one-piece and full-load type design, which adopts closed loop circuit, liquid pressure pilot control and load sensitive control and a number of advanced control technology and the company's proprietary technology. The main performance parameters and controlled technology has reached the leading domestic level. Hydraulic system, transmission system, reducer, electric control system and other main components choose the brand name products at home and abroad, whose quality is reliable. XZ450 HDD Drill Rig take the classical H beam structure, the steel tracks, venue with strong adaptability and high reliability. Eaton or Rexroth walking speed reducer have the stable and reliable performance. The Dongfeng Cummins turbo engine. Emissions meet the standards II. 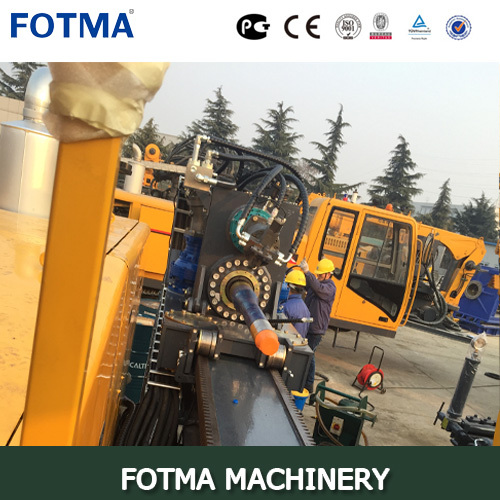 Rotating adopts closed loop and other functions uses open system and the load sensitive control and electro-hydraulic proportional control and several advanced control technology. The imported components are reliable in quality. Electric system equipped with electric starter key switch, fuse box, power master switch. For horizontal directional drilling construction technology, application of simple electric line. To optimize the display in the instrument location, easy to observe. The wire-control walking can realize stepless speed regulation, convenient operation. Engine speed, water temperature, oil pressure machine, hydraulic oil temperature, oil filter, power head limit and other alarm parameters can effectively protect and monitor the safety of machine. High strength drill stand can adapt to the 4.5 m drill pipe. Rocker arm oil cylinder and the angle adjustment together achieve greater point of the adjustment of the angle of the grave. Push pull a drill through the gear rack and complete. Power head effectively protect the pipe screw mandrel floating device Lines. Variable motor can achieve high-speed push and pull. 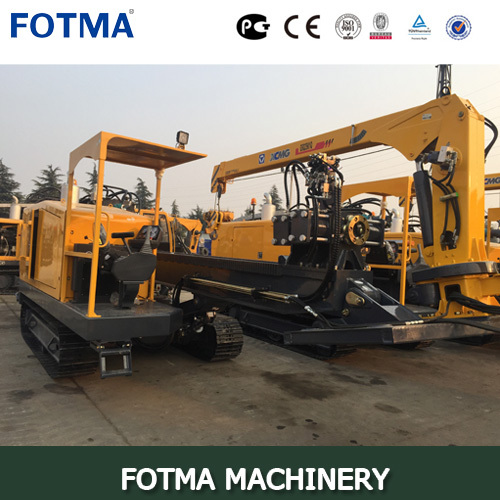 Equipped with push and pull power device, it can multiply the drag force and reduce the risk of workers. Rig is equipped with powerful shackle vise. Equipped with the Hengyang slurry pump, it can provide the powerful and huge slurry and guarantee the construct smoothly. 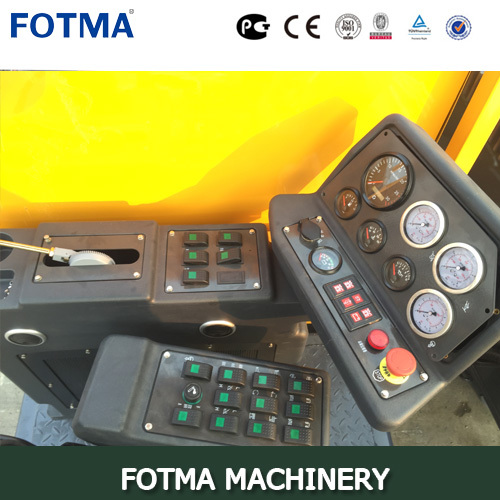 Option: control cab, adjustable seat, panorama French window, in line with the ergonomics design console, greatly improved the operation of the rig comfort level. 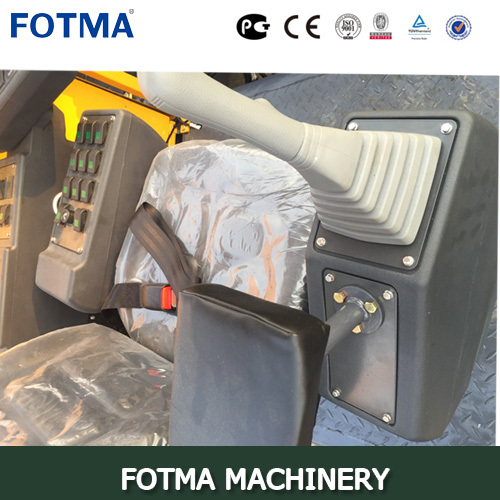 The cab is equipped with air conditioning, interior as beacon, wiper, fire extinguishers, safety hammer and other necessary equipment. Random configuration 2T XCMG lorry crane and manual operation stable. Option: integral or welded pipe; Back to the expansion of optional cut expanding type, expanding type, flow channel type or other Special reamer, whose diameter is from 300 mm to 1000 mm. The user also can select other specifications of the short connection, transfer and others according to the requirements of their type. Note: the biggest hole diameter and the construction of the longest distance is associated with specific construction formation. Note: The products will be improved along with the technical advancement and the difference will be defined during ordering.